Rasa Malaysia often has unusual recipes that catch my eye, and that’s where this Vietnamese Caramel Chicken recipe comes from. Thankfully ATK has taught me enough to know how to cope with this, so I can get at the delicious recipe without any danger our poisoning! 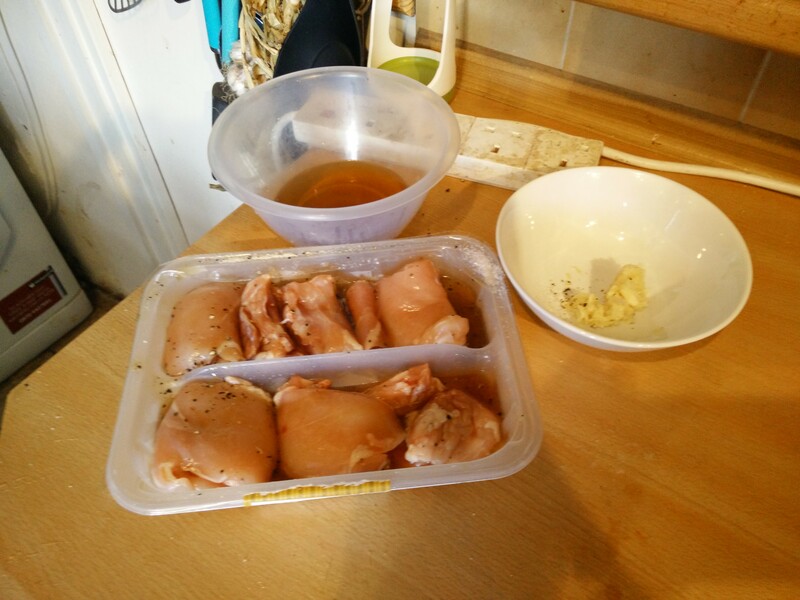 I know the chicken thighs need to get to 80C internally before they’re cooked. I’m serving it with some stir fry veg, which means I can cook the chicken as instructed, then if the temperature isn’t right I can cook longer, put a lid on to try and steam it, or bung it in the oven, and get it to the right temperature before even starting the stir fry (which will all be mise en place ready to go as soon as it’s needed). So it all starts changing with marinade. 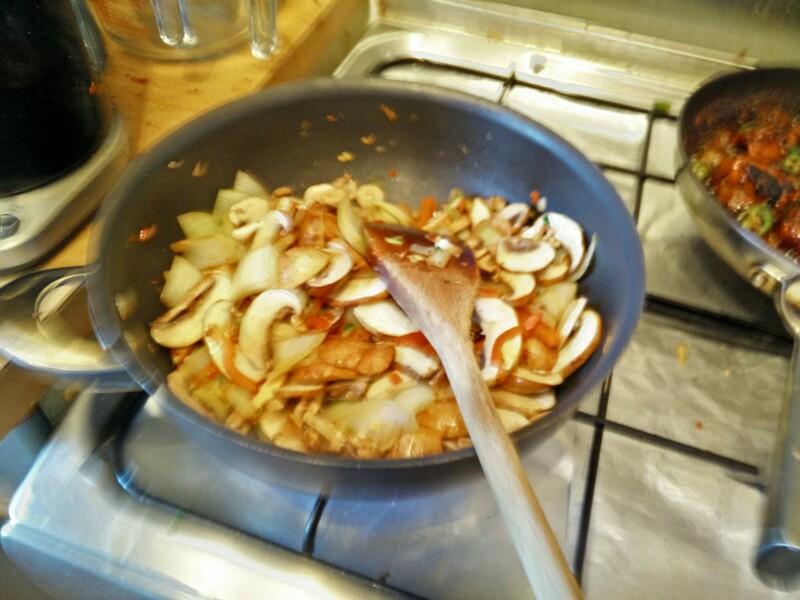 A few tablespoons is not enough to marinade, so lots more fish sauce went in. 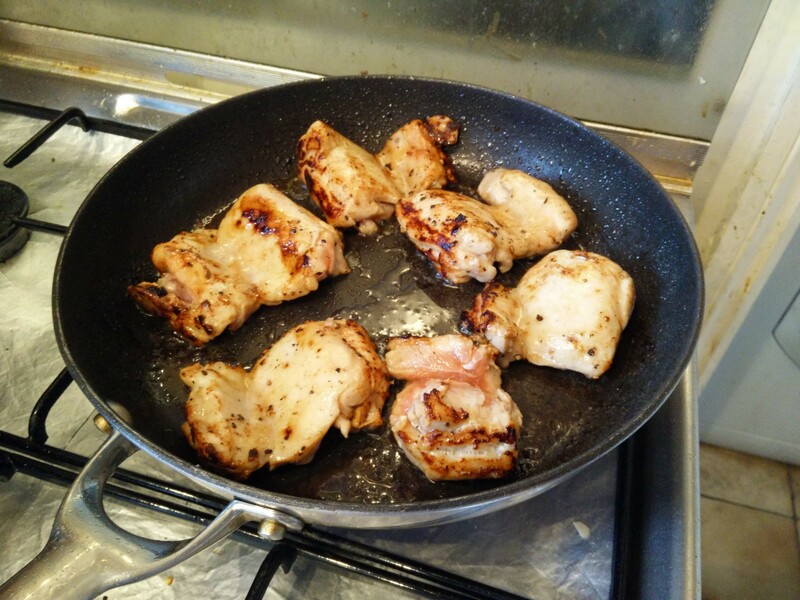 Frying up chicken is as planed, although our thighs didn’t have skin on. 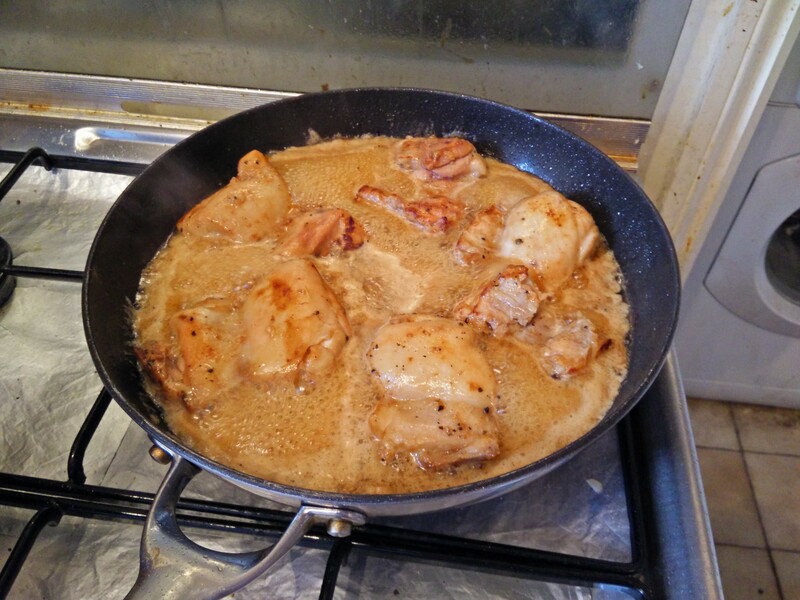 Then I added the marinade to the caramel sauce to give a proper amount of liquid to cook the chicken in. This took much longer than the five minutes the recipe said… but it’s chicken thighs, and you can’t can’t really overcook those guys. 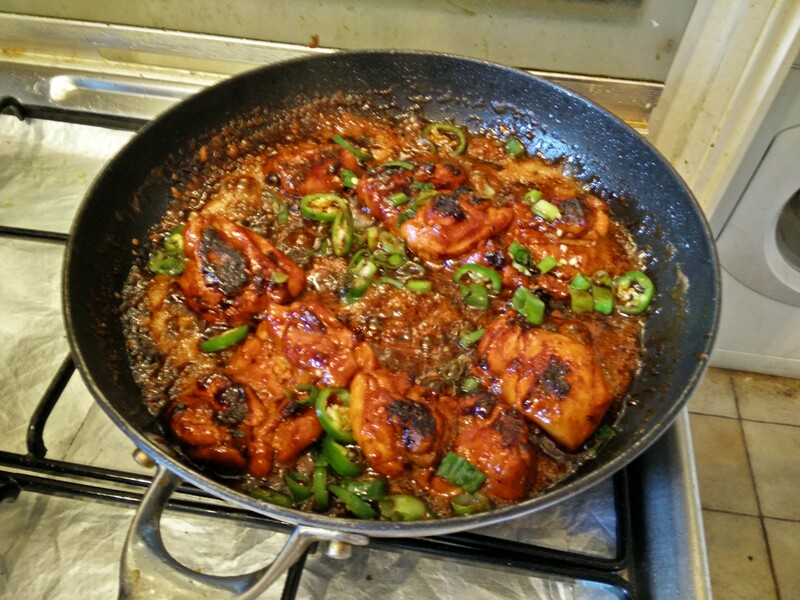 So after half an hour or so of reducing, the chicken looks ready and spring onions and sliced chillies get added. 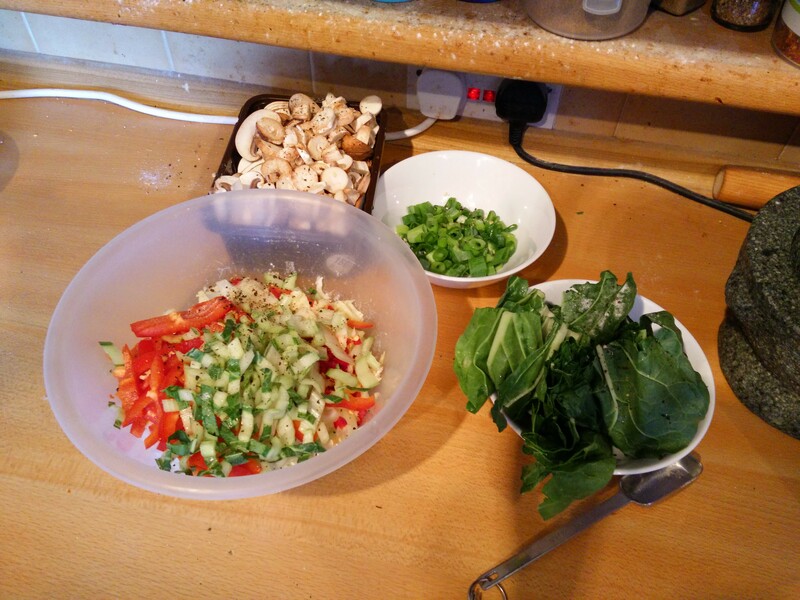 And this is also time for the stir fry to start. And within minutes it’s time to eat! Oh yeah this is good. 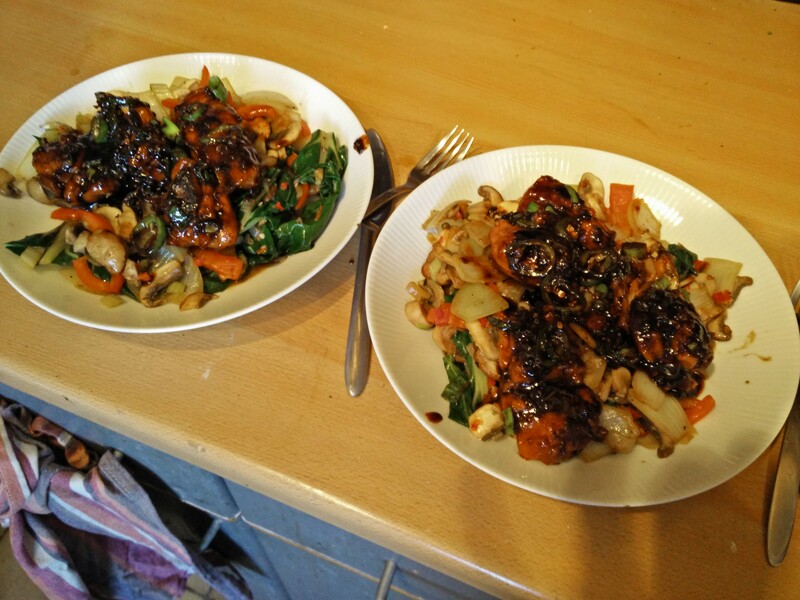 The chicken has a deep sweet flavour to it, and the veg offer a nice fresh contrast. It could be better: some vinegar in there somewhere, maybe some nuts, but still it’s so rich and deep.